We've asked many kids what they want to be when they grow up. And sure, most of them say fireman, policewoman, or president. Sometimes they astronaut. And then those special kids, the incredibly imaginative ones, say rocket ship. Your kid is like that. They like to draw all day, sometimes schematic looking things. Which is weird because they are like 4 years old. But those drawings are so adorable. Your little guy is so enthusiastic about space. And he really, wants to be a space ship. 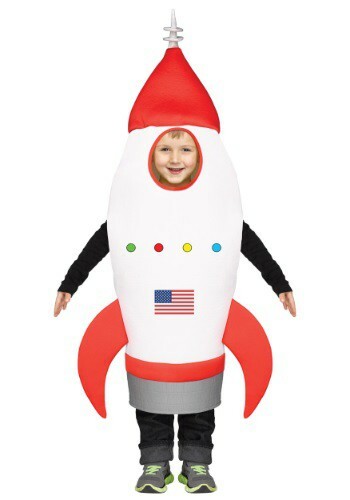 Well, before you tell him he can't be a space ship, why not let him dress up as one? This Child Rocket Ship Costume is perfect for those kids who have strong imaginations. Those kids who want to be a rocket ship, but maybe will grow up to be engineers one day. 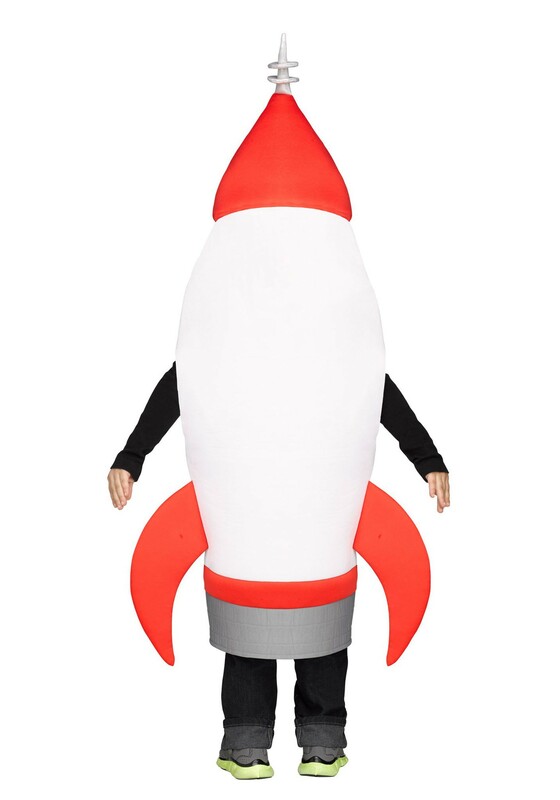 Or maybe they will grow up to be actors, citing the moment you put this rocket ship costume on them as the moment they knew anything was possible. And maybe in a year your kid will change their mind, and tell you they want to be a police officer, or a fireman, or the first woman president. Or maybe they will just enjoy being able to fly through the stars. Jumping up, and down, getting ready for take off.